Pop Culture Reflection: Schoolhouse Rock! 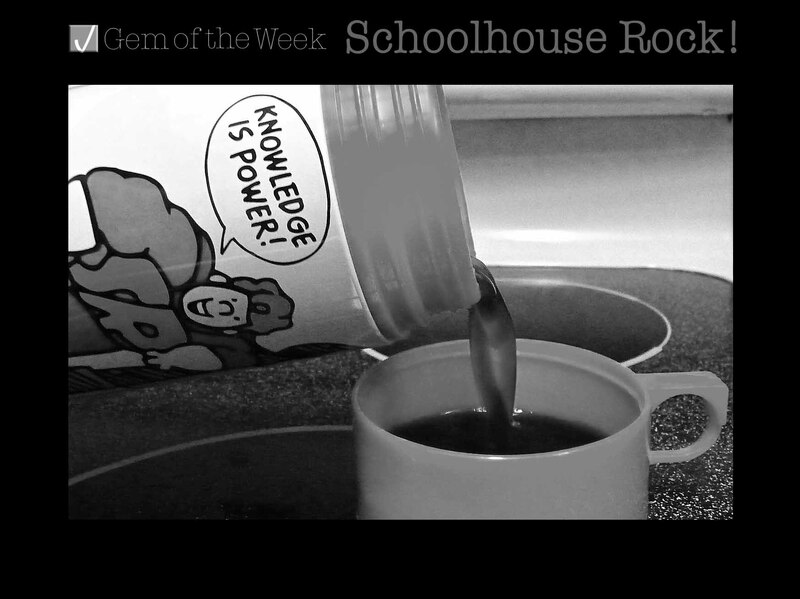 My reflection this week goes to my early childhood memories of the Schoolhouse Rock! series. If you were a kid growing up in the 70s or early 80s then you would remember these musical educational cartoon shorts that would air between Saturday morning cartoons. Schoolhouse Rock! was a great idea because those short catchy tunes did teach me information that I can still recall as an adult. Unfortunately there is not an official Schoolhouse Rock! website. I only came across Wikipedia facts which states that the series creator was David McCall and it ran from 1973 – 1985. There is a 30th anniversary DVD released in 2002 that has all original 46 shorts. I own the collection and it’s sold by Disney. You can also look up any Schoolhouse Rock! video on You Tube. Now, “Interplanet Janet” appealed to me the most because I use to love drawing planets and learning about the solar system as a kid. Below is the “Interplanet Janet” video shared from Us Chronicle’s You Tube Channel.